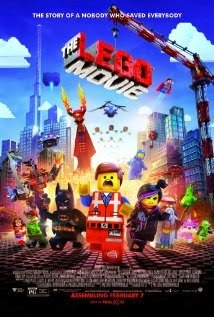 Tomorrow The LEGO Movie opens and the entire family can't wait to see it. It looks like a ton of fun, and Batman and Wonder Woman are in it, so yay. LEGOs are a fixture in the house. The kids love to build and create, the videogames are lots of fun, the kids get into the LEGO books (such as this one) and I always seem to find them on the floor in the dark. With my bare feet. 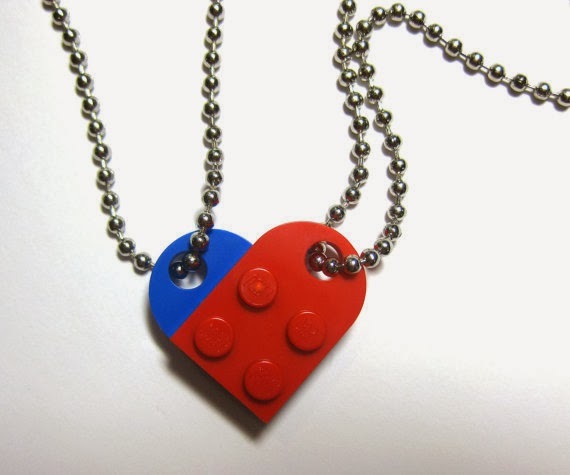 OK, the last one isn't so great, but overall, I have lots of adoration for the mighty LEGO bricks. Recently discovered while shopping at Toys R Us for a birthday present: BrickStix. 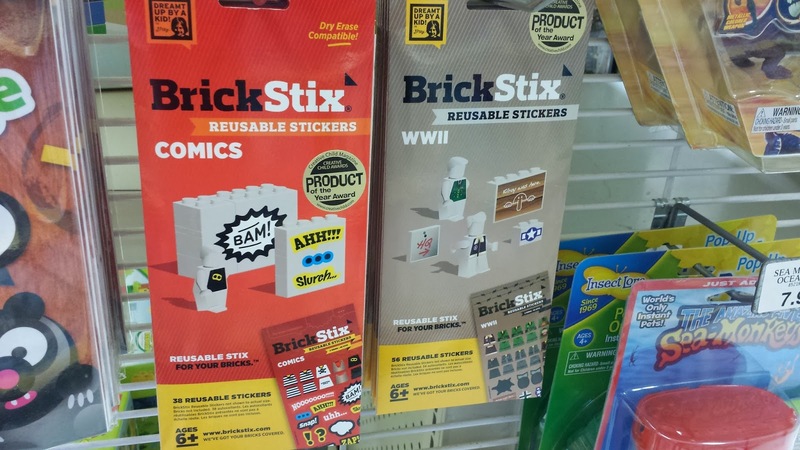 They are reusable stickers and decals that you can put on your bricks. They had several different packs, all $5.99, with themes such as Comics, WWII, Zombies, Town, and Medieval. I really like the Comic pack that had dry-erase compatible stickers. This feels like the perfect present for a LEGO happy kid. It's not something they would probably pick out - I know mine would always go for new bricks first - but once he figured out that he could make new characters, or put together his own LEGO comic with his own words, oh yeah, he would dig that. You can find more packs on The BrickStix site. 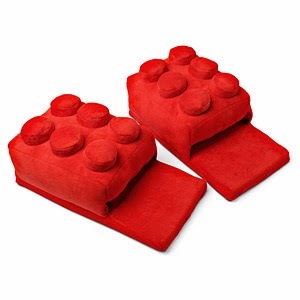 Read on for more LEGO-inspired goodies. I want this. 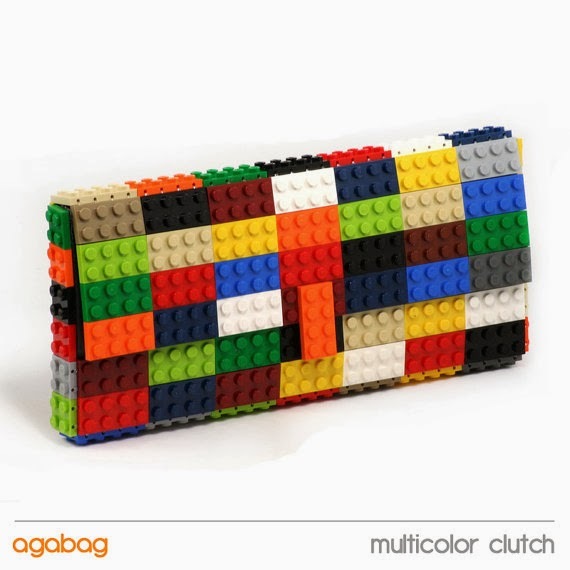 LEGO clutch from agabag on Etsy. 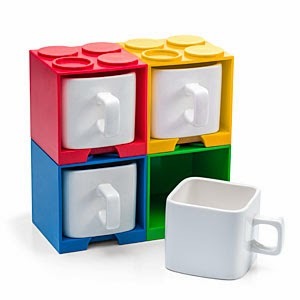 Stackable mugs - for home or office. From ThinkGeek. 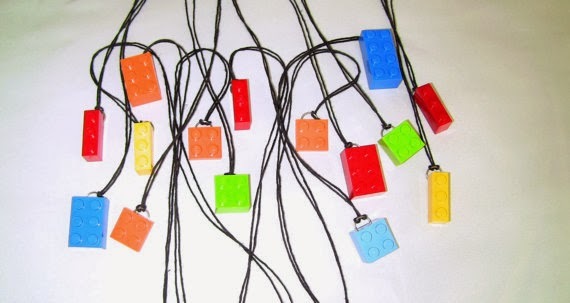 LEGO necklaces from ValVal7 on Etsy.